One of my favorite things to do with my homemade salted caramel recipe is incorporate it into buttercream. It ends up being such an awesome blend of sweet and salty, perfect for topping cakes and cupcakes or using as a cake filling. It can transform basic cake flavors like chocolate and vanilla into something above and beyond, and it also adds complexity to Fall-inspired flavors like apple spice cake. Whatever flavors you love pairing with caramel, this salted caramel buttercream is magic! It all starts with a great homemade salted caramel recipe, like this one. It’s only four ingredients, easy as can be, and you don’t even need a candy thermometer to make it! Making the salted caramel from scratch is the key to this beautiful caramel buttercream flavor, so if you have your own favorite salted caramel recipe, feel free to incorporate it into the buttercream recipe below. Just avoid premade salted caramel sauces that tend to be overly sweet, because they might send the sweetness level of this buttercream way over the top. When you’ve got your salted caramel made and ready to go, make sure you give it enough time for cooling to room temperature before you add it into the buttercream recipe. It’ll be very hot and runny when you remove it from the stove, and allowing it to cool will not only ensure that your buttercream doesn’t melt into soup, but the caramel will get thicker and more flavorful as it sets. If you prefer to make the salted caramel ahead of time, that’s fine too! You can store it in the refrigerator for up to two weeks in an airtight container, then when you’re ready to make the buttercream, just microwave it in 15 second intervals to bring it back to room temperature. Once your ingredients are all room temperature and ready to go, all you need is a stand mixer with a paddle attachment and about ten minutes from start to finish. 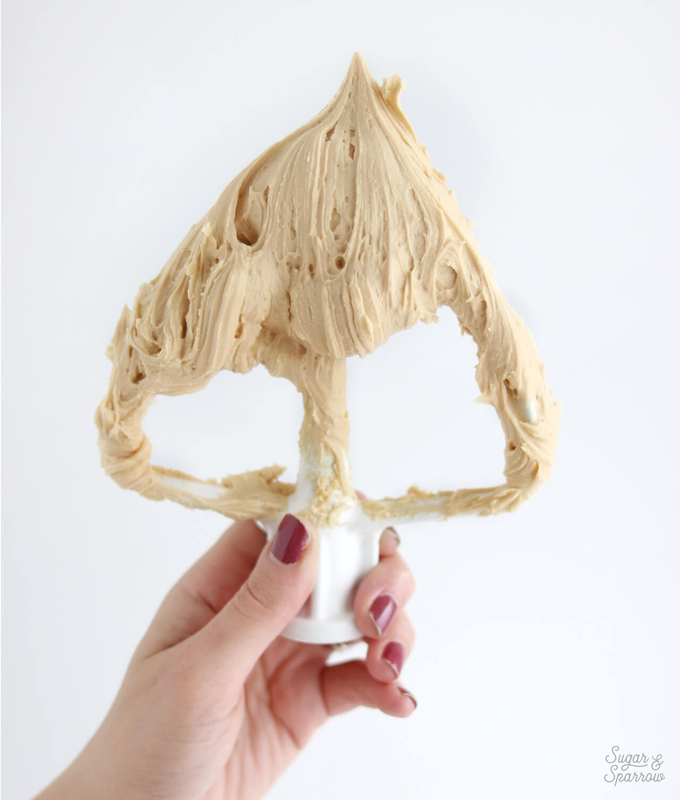 The process is about as basic as it gets when it comes to an American buttercream recipe, but the end result is buttery salted caramel magic that you’ll want to eat by the spoonful! 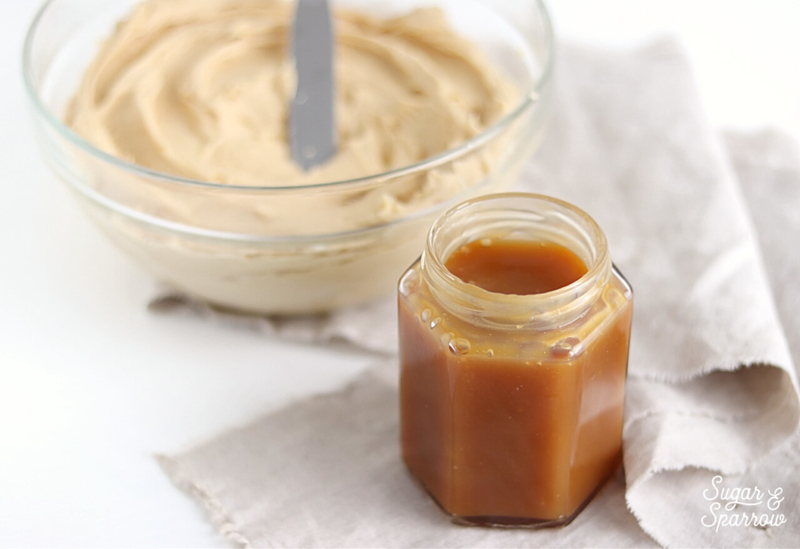 A sweet and salty caramel buttercream, perfect for frosting cakes and cupcakes or using as a cake filling. In a stand mixer fitted with the paddle attachment, whip the butter on high until it’s fluffy and light (almost white in color), 5-6 minutes, scraping down the bowl and paddle a few times in between. Turn the mixer to low and add the powdered sugar a few cups at a time, scraping down the bowl and paddle after each interval. Add the vanilla. With the mixer still on low, add the salted caramel. Add a pinch of salt, increase the speed to medium, and mix for 2 full minutes. 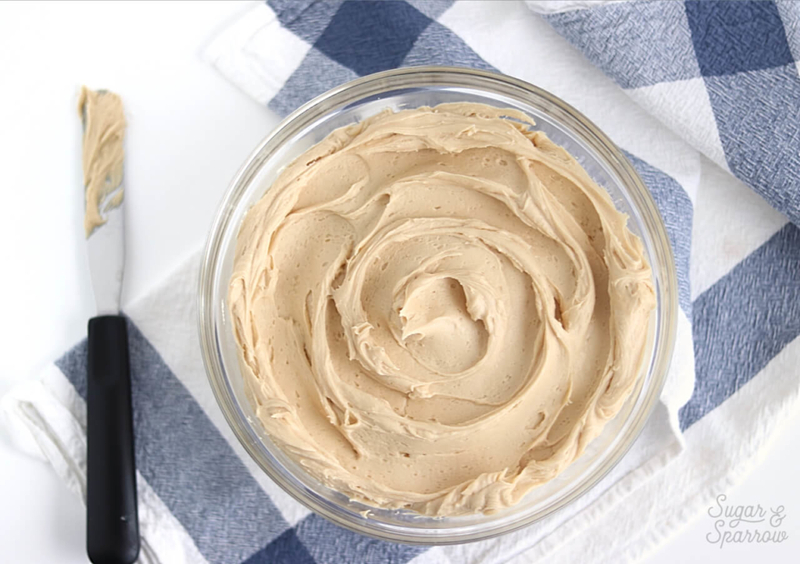 Make Ahead Tips: You can make this salted caramel buttercream ahead of time and store in an airtight container in the refrigerator for up to two weeks. 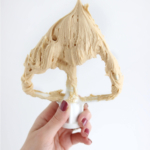 When you're ready to use it, bring it back to room temperature and re-whip in your stand mixer to bring it back to smooth buttercream consistency. Hi there, you mention topping cupcakes and filling cakes… what about covering a cake completely prior to putting fondant on it? Do you think it would tolerate the weight of fondant? And get a dry enough crust to put fondant on? Thankyou for any advice! Hi Christine! 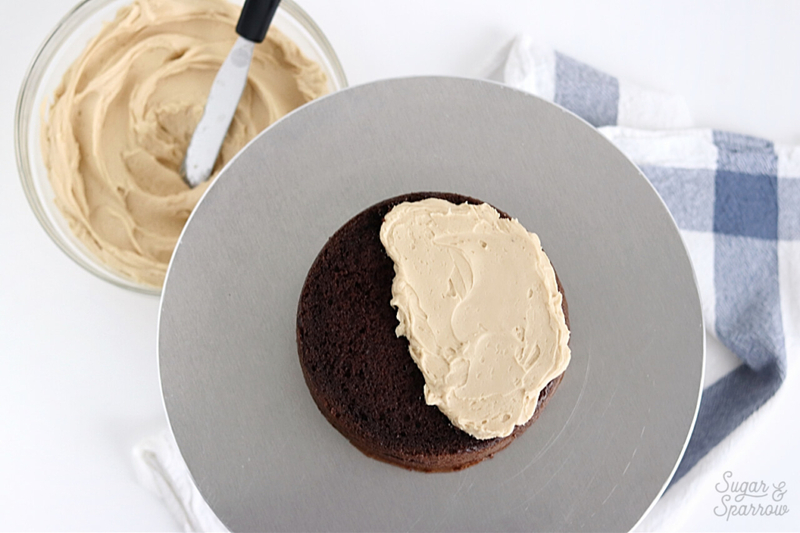 This salted caramel buttercream will totally work for covering a cake before putting fondant on. It’s a crusting buttercream and I would recommend chilling it slightly prior to covering in fondant – that way you’ll get a firm surface and plenty of support for the fondant! Thankyou so much! Can’t wait to try this on the weekend! can this also be used as a filling for the macarons? Hi Joyce! This recipe would be perfect (and so tasty) as macaron filling! Where do you buy salted caramel ? Can I use a hand mixer? My stand mixer is broken! Sounds wonderful! I’m planning on putting this on top of some decadent chocolate cupcakes for a friend’s birthday at work. Does this recipe make enough to pipe 24 cupcakes? Hi Kate! This buttercream is SO tasty on chocolate cupcakes. To pipe 24 of them, I would 1.5 the recipe. Thanks so much for getting back to me so quickly! I am so excited for these!